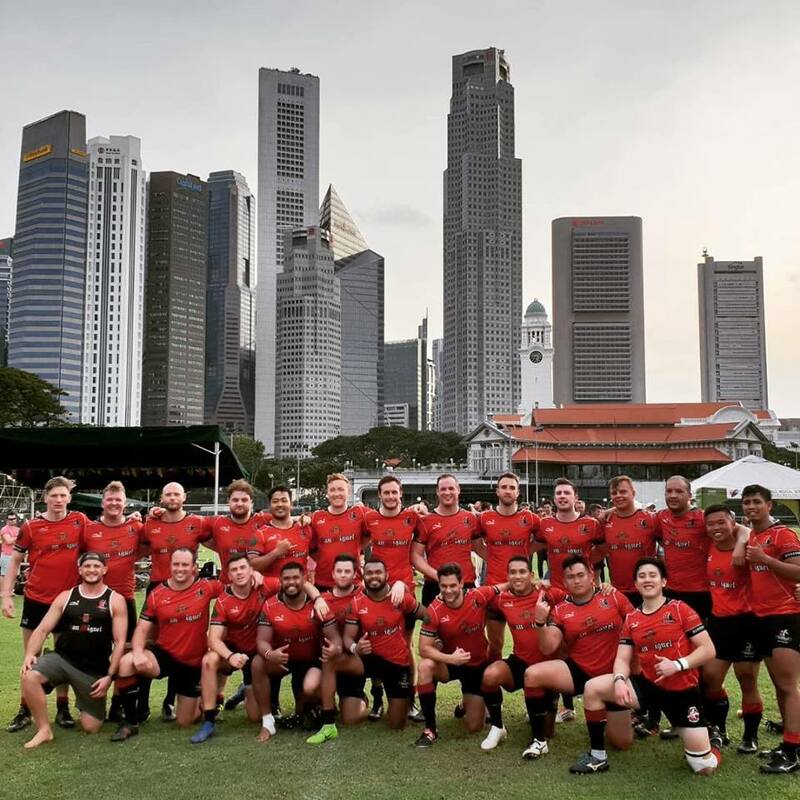 Saturday saw the annual triple header on the historic Padang. With the match having a big say as to who will take 1st place in the league this year, the lads needed no incentives to help them get up for the game. Wanderers were #blessed with practically a full squad to choose from for the game, with coach and ‘Mob leader’ Will Foden facing some tough decisions in both the forwards and backs after some stella individual performances from the Gents the previous week really stirring up the selection pot. In the end angry Ginger Conor got the nod in the engine room, with Nic Hurlston and Wade getting the nods at 13 and 15 respectively, and Will picking a powerful bench of Treebeard, Mighty Mouse, Khai, Seth Rogen, Teare, Chamberlain, Cartwright, and Nash. SCC started the game on the front foot, with their trademark kicking game attempting to pin Wanderers back in their own 22, however a combination of Wanderers dominant set piece and some backs kick tennis (yawn..) enabled Wanderers to fight back and after a great kick chase and hit by Hurlston and Fathur turned the ball over they started to gain some territory and build their phases. Which culminated in Wanderers scrum creaming the SCC pack (not for the first time that afternoon) to win a penalty in front of the posts which Sassy slotted with consummate ease. This story continued throughout the half, SCC going to the boot more often than not, and Wanderers pack and backs more than matching their counterparts around the fringes and out wide to knock their attacks back. 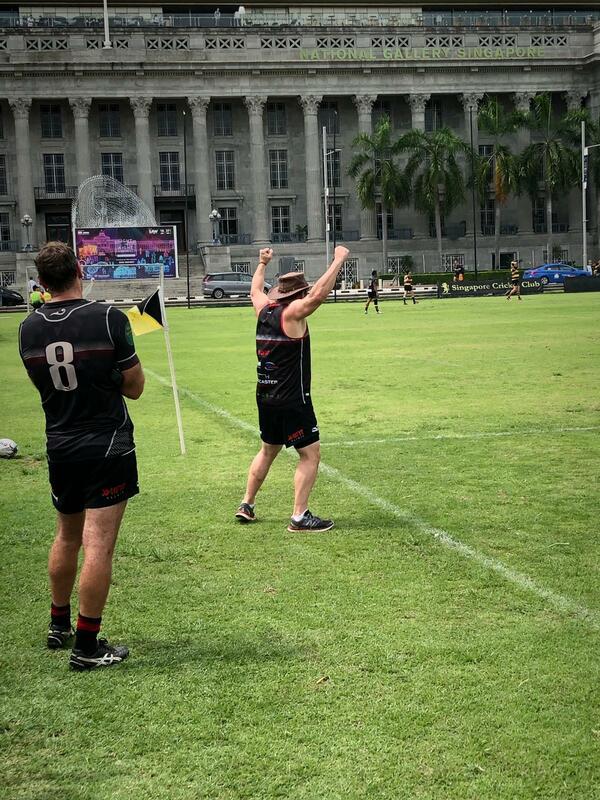 Our scrum led by the front row of Alvin, Gully and Humps was also winning penalties to gain some valuable territory. After another scrum penalty and some strong carries from Harris, Muzza and Gully, Wanderers worked their way up into the 22 and gained some field position on the left of the 22m, Sassy finding Nic on a great line to punch through with just the full back to beat. After a great step which sat the full back on his arse, Nic went over under the posts, Sassy adding the extras – 10-0 to the good. More pressure built from the Wanderers as the half went on, and after SCC infringed Wanderers called for a scrum 10m out. SCC infringed again, earning their prop a yellow card (finally, only took 7 pens…), which then let to the Wanderers pack calling another scrum and getting a pushover try scored by Muzza, Sassy adding the extras to make it 17-0 going into half time. The 2nd half started with SCC earning a 2nd yellow card after their 2nd row was adjudged to have tackled Robbie in the air at the lineout, but some sloppy play let SCC back into the game and they won a penalty which they put over to make it 17-3. The rest of the 2nd half was an attritional affair, both defences putting in an amazing shift, with massive hits going from the likes of Fathur, Dan Teare and Matt Humphreys and SCC being held up over the line after a great saving tackle from Gully and Tommy Ingram. The Wanderers scrum also continuing to dominate despite the ref making up his own rules. and from the next phase the scrum half dived over (not grounded says Muzza…), leading to a tight last 2 minutes. Thankfully the players listened to coach Will’s angry shouts from the touchline, retaining the ball to grind the game out as deserved victors. A great performance, but plenty of points to work on over the coming weeks. 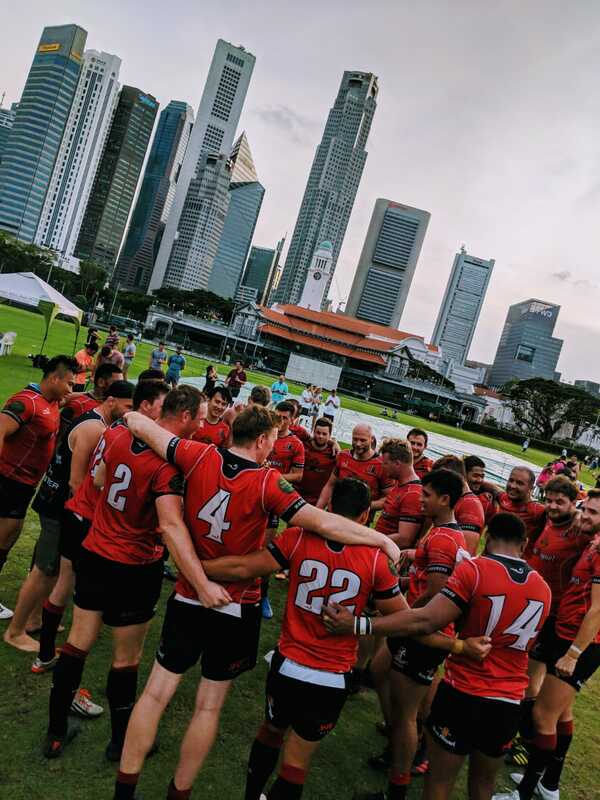 © 2019 Singapore Wanderers Rugby Club. All Rights Reserved.